Aikido derives mainly from the martial art of Daito-ryu Aiki-jujutsu, but began to diverge from it in the late 1920s, partly due to Ueshiba's involvement with the Omoto-kyo religion. Ueshiba's early students' documents bear the term aiki-jujutsu. Aikido was created by Morihei Ueshiba (Ueshiba Morihei, 14 December 1883 – 26 April 1969), referred to by some aikido practitioners as Osensei ( Great Teacher ). The term Aikido is a generic term coined in the twentieth century. Ueshiba envisioned aikido not only as the synthesis of his martial training, but as an expression of his personal philosophy of universal peace and reconciliation. 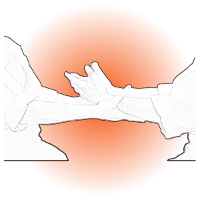 During Ueshiba's lifetime and continuing today, aikido has evolved from the Aiki that Ueshiba studied into a wide variety of expressions by martial artists throughout the world. Ueshiba developed aikido primarily during the late 1920s through the 1930s through the synthesis of the older martial arts that he had studied. 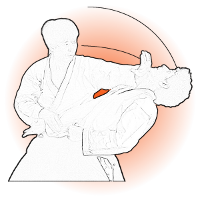 The core martial art from which aikido derives is Daito-ryu aiki-jujutsu, which Ueshiba studied directly with Takeda Sokaku, the reviver of that art. Additionally, Ueshiba is known to have studied Tenjin Shin'yo-ryu with Tozawa Tokusaburo in Tokyo in 1901, Gotoha Yagyu Shingan-ryu under Nakai Masakatsu in Sakai from 1903 to 1908, and judo with Kiyoichi Takagi (Takagi Kiyoichi, 1894–1972) in Tanabe in 1911. Popularised by Steven Seagal (pictured right) in films as early as 1988's Above the Law and classics from 1990 like Hard to Kill and Marked for Death , Aikido has become the Martial Art that everyone wants to be interested in. 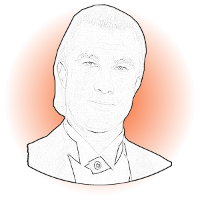 Seagal, a 7th dan degree or Shihan in Aikido, moved to Japan in his late teens and became the first foreigner to operate an Aikido dojo in Japan. He continued studying Aikido with Seiseki Abe, Koichi Tohei (Seagal refused to join Tohei's Ki Society and trained at Aikikai), Kisaburo Osawa, Hiroshi Isoyama and Kisshomaru Ueshiba. He earned a living there in the 1970s and early 1980s as an Aikido instructor and he is known as Take Sensei by his students. Seagal initially returned to Taos, New Mexico, with his student—and later a film stuntman—Craig Dunn. There, they opened a dojo, but Seagal spent much of his time pursuing other ventures. After another period in Japan, Seagal returned to the U.S. in 1983 with senior student Haruo Matsuoka. They opened an Aikido dojo, initially in Burbank, California, but later moved it to the city of West Hollywood. Seagal left Matsuoka in charge of the dojo, which he ran until the two parted ways in 1997. He currently trains three students: Craig Dunn, Elliot Freeman, and Jorge Angulo. 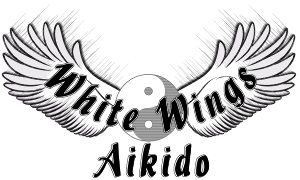 Because of the Boom in Aikido, schools have sprouted and performed well all over the world and there are some large governing bodies here in the Uniked Kingdom that protect not only the schools that are being run throughout the country, but also the individuals that choose to persue them.